Everyone who got all warm and fuzzy from the wildly successful antics of Paddington gets an extra special early Christmas present in this joyful sequel, which is, however implausibly, even better. It's irresistibly charming for all ages: cute, sweet and fantastically funny, with spiffing action set-pieces, beautiful visuals (cue mass doffing of battered old hats everywhere to the production design and cinematography teams) and delicious performances from pretty much an all-star cast. Having made the journey from Darkest Peru to London in his origin story, the ever-courteous and somewhat disaster prone little bear (voiced so winningly by Ben Whishaw and animated so adorably by the clever folk at London's Framestore) spread a sunny message about tolerance and acceptance. 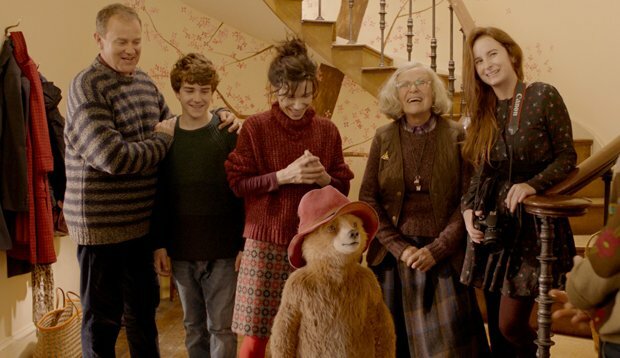 Now happily settled in with the Browns (Hugh Bonneville, Sally Hawkins, their peppy teens and the family's faithful cook Julie Walters) and beloved by nearly everyone in his community, Paddington innocently falls afoul of a desperately dastardly scheme but overcomes all trials and tribulations with his unfailing kindness and optimism. And his Aunt Lucy's marmalade recipe. Hugh Grant is quite brilliant as villainous master-of-disguise Phoenix Buchanan, a has-been thespian reduced to doing dog food commercials, who talks to himself as characters he played in his heyday (Macbeth, Poirot) and does the overripe ham to comedic perfection. After realising the unwitting Paddington has happened upon the key to a hidden fortune, Phoenix frames the bear and gets him sent to prison where another genius piece of casting, Brendan Gleeson, holds fearsome sway as the menacing prison cook Knuckles McGinty. The humour is endlessly, inventively chucklesome without ever condescending to the children – nary a fart, puke or poop joke is resorted to. Cineastes will delight in the witty homage (Paddington's prison break incorporates a marvellous nod to Charlie Chaplin's Modern Times). Plus you'd have to be a sociopath not to be moved by the heartwarming resolution to the escapades. (And do not rush out at the end! The epilogue is hysterical.) It's terribly sad that Paddington's creator Michael Bond – to whom the film is dedicated – died in June without seeing how absolutely wonderfully his legacy has been continued. Bring on Paddington 3.